Last week a comprehensive report shed a lot of light on Samsung's upcoming Note8 smartphone, including its record-breaking price. 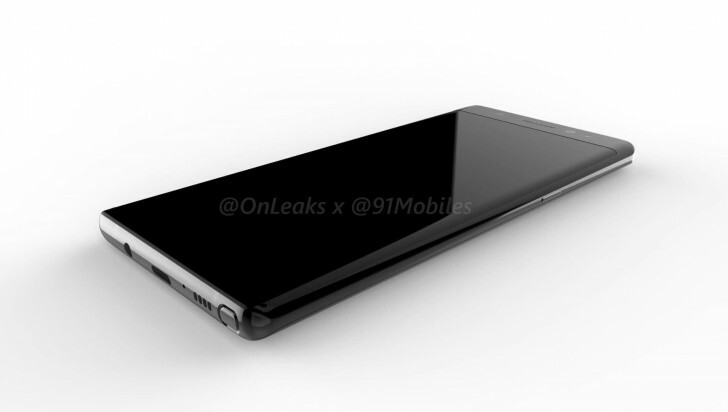 One of the things that leak did not have was any kind of image portraying the device. 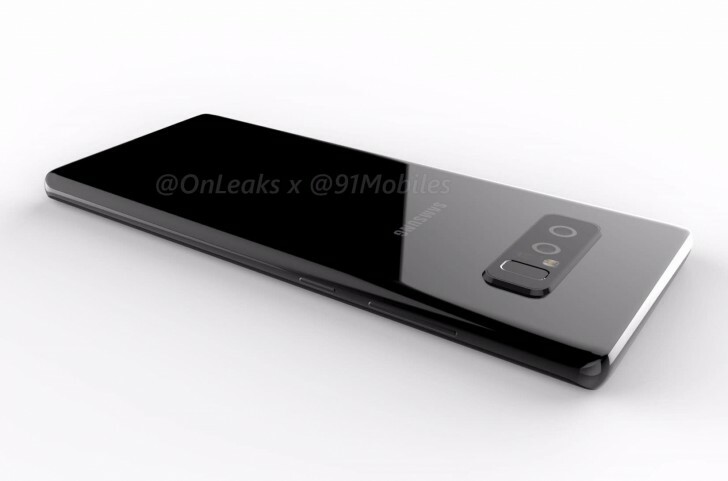 Today, however, two different sources have come up with CAD-based renders of the Galaxy Note8. Let's start with the more schematic one. 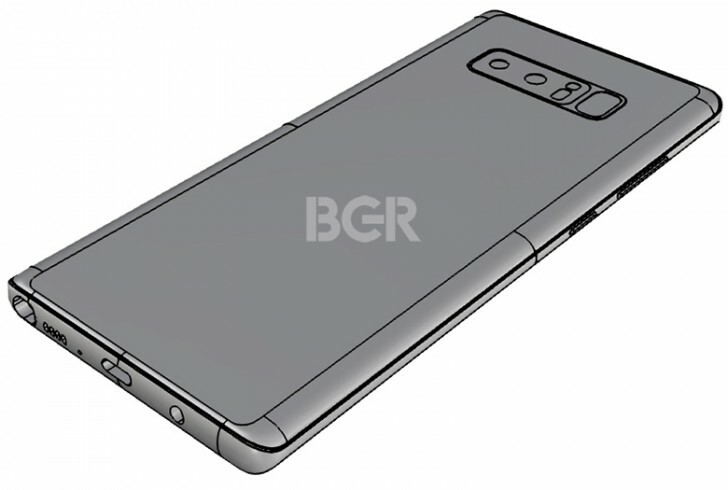 Like the other renders outed today, this confirms the position of the fingerprint sensor that was talked about in last week's leak. We also get the umpteenth confirmation of the dual rear camera setup. As you can see, the fingerprint scanner is still in a place that makes it very easy to accidentally smudge the camera - the one closest to it, at least. That said, the bump that houses the cameras, heart rate monitor, LED flash, and the fingerprint sensor itself may aid in locating it by touch alone. The design is the same in these other shots, except they look less schematic and closer to actual press renders. Interestingly, the top screen bezel seems to be larger than what we've seen in the S8 duo, even though so far most rumors have said the Note8 will basically look just like a slightly bigger S8+. If you want to see more of this year's Note, you can also check out the video below, which is all about these CAD-based renders. The device has been rumored to come with a 6.3-inch 18.5:9 AMOLED touchscreen, the Snapdragon 835 or Exynos 8895 chipset (depending on market), 6GB of RAM, and a 3,300 mAh battery. The rear cameras will be 12 MP each, and both will feature optical image stabilization.